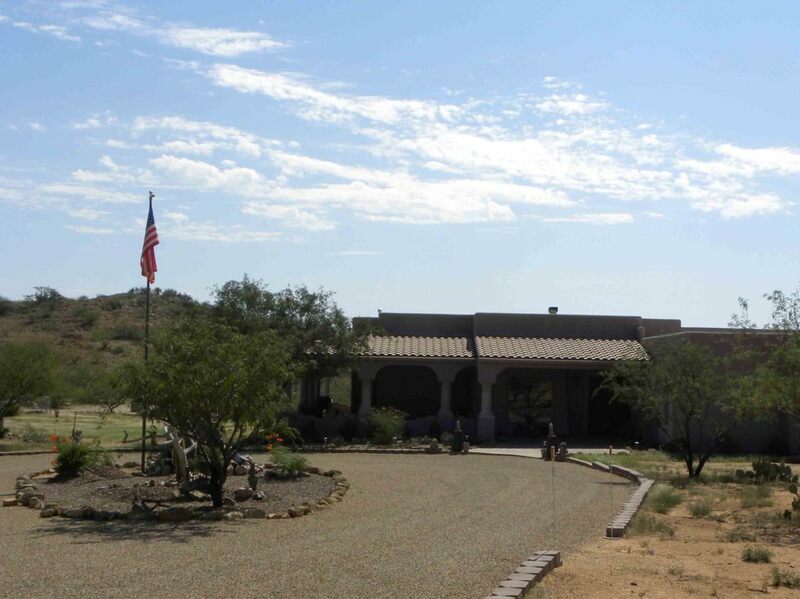 While property owners are free to drill their own well on their property at Ruby Star Airpark, several of our existing property owners have installed water harvesting systems to capture rain water and store it in large tanks until needed. Given that Ruby Star averages 11-14 inches of rain per year, water harvesting has been very successful. In the following photos, we’ve identified one of the water harvesting systems installed at Ruby Star. 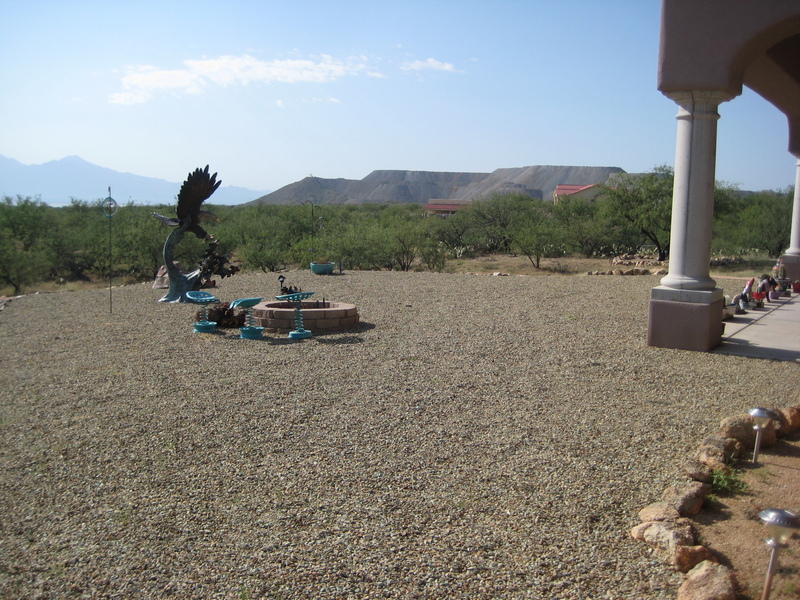 Let’s begin with the completed back yard in one of the beautiful homes in Ruby Star Airpark. To store the water captured from the roof of the home & hangar, the owner dug a large hole and installed two fiberglass tanks. 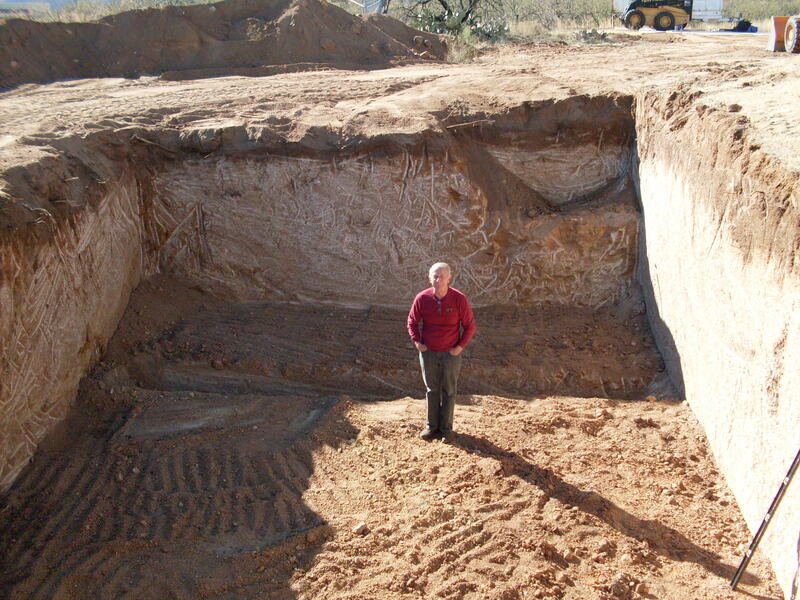 That’s Mike standing in the hole where the tanks were set. 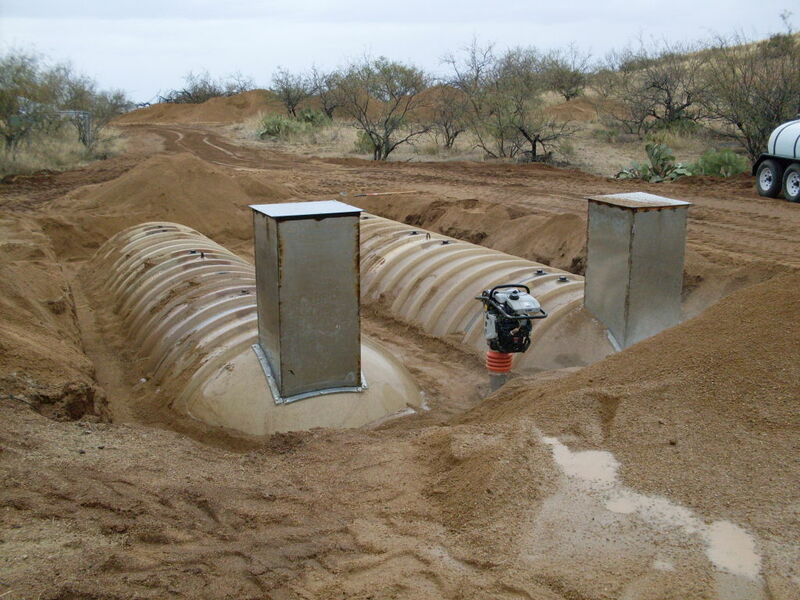 Two 10k fiberglass tanks were set into the ground and packed with soft material. 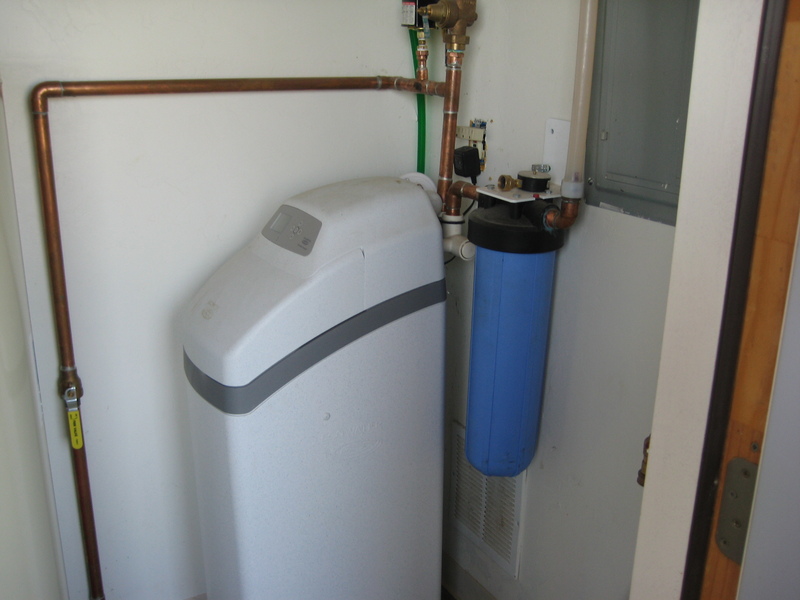 Before using the water, this installation includes filters and a water softener. Here is a street view of this beautiful home. Local experts are available in Tucson to assist with the design and installation of your water harvesting system. Other Ruby Star installations rely upon water delivery services from local suppliers to fill their water tanks which are either “in ground” tanks, or tanks stored in their hangar. Please contact anyone on the CONTACT PAGE for more information and assistance. You will find our existing homeowners and board members to be a wealth of information concerning local contractors and suppliers. Please take advantage of our experience! !